20/20 Home Inspections is a licensed real estate home inspector in the DFW area since 1998. Some people like buying houses with problems, but most don't. Let Deb reduce your risk when purchasing a home by INVESTING in a 20/20 Home Inspection. "As a third party, non-biased consultant for my clients, I can provide information about the condition of a home so you can make a responsible decision about your purchase. You can't afford NOT to spend a couple hundred dollars to save possibly thousands when purchasing a home." Deb and her PMS 101 seminars have been featured in articles in The Dallas Morning News on 11/4/03, 1/23/05 and 11/20/06. 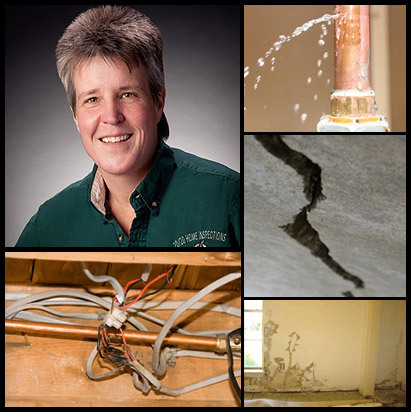 Deb Sadler has been a licensed residential home inspector in the DFW area since 1998. Please call to schedule your home inspection early to comply during your Option Period. "You don't know what you don't know.